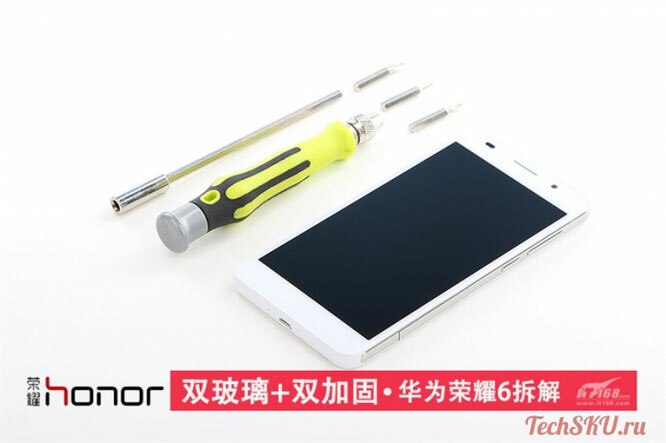 Recently announced by Huawei Honor 6 fell into the hands of the editorial site PCOnline. 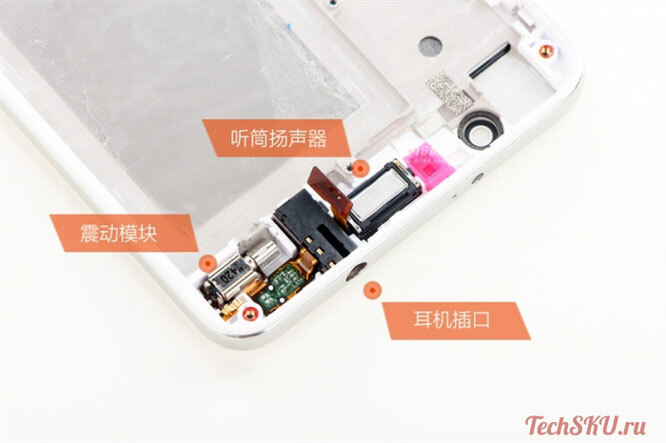 This resource is an analogue of the American iFixit, and you know what that means. 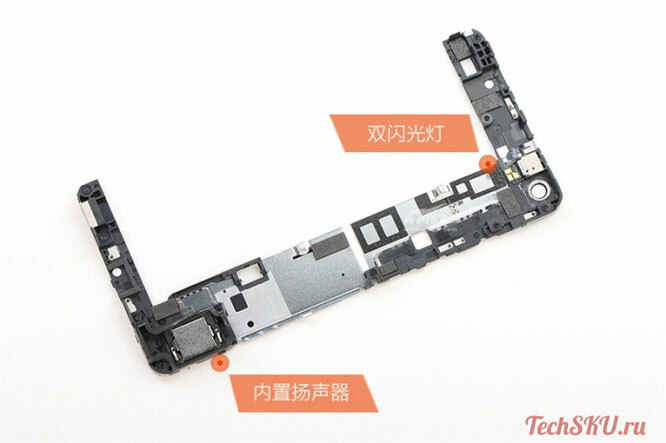 The smartphone was dismantled to the last cog, having studied the "insides" of the flagship along and across. 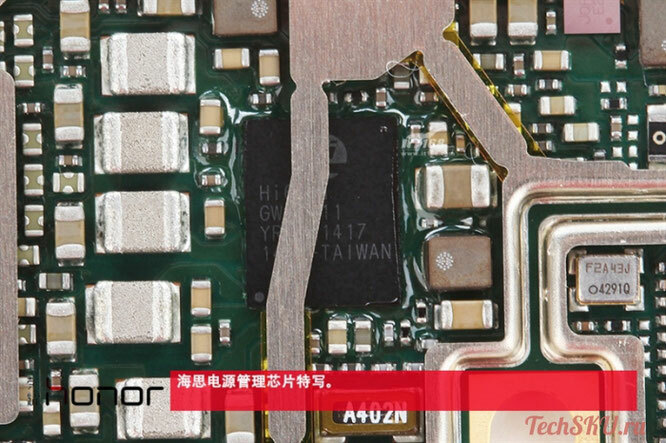 Repairability of the novelty was evaluated in 7 out of 10 balls. 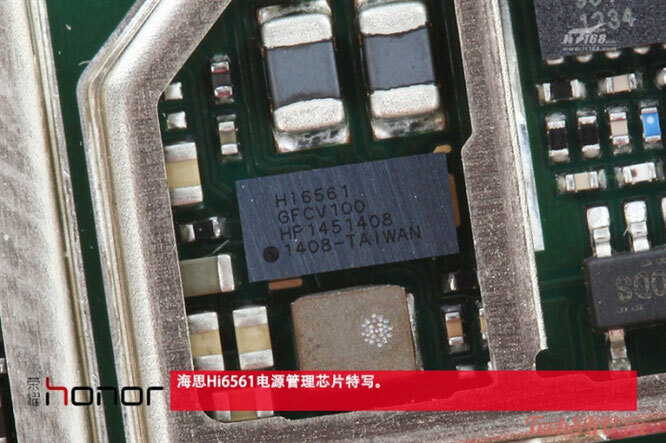 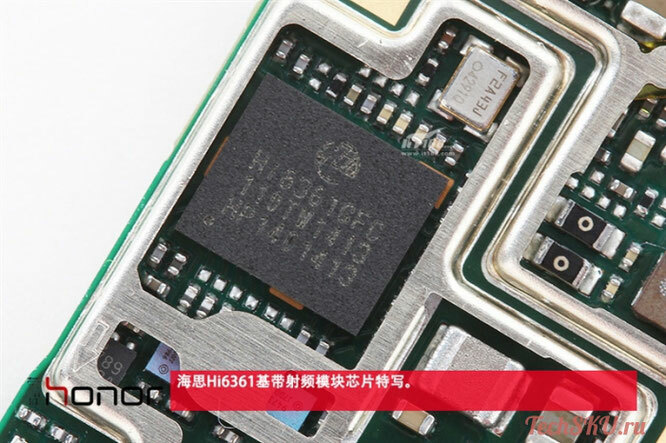 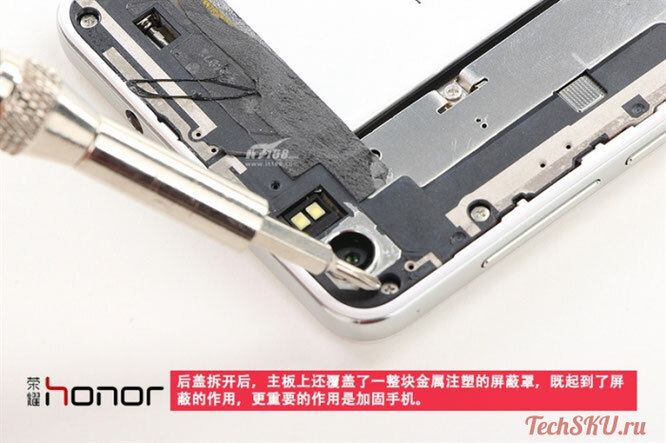 Some difficulties with the disassembly of Huawei Honor 6 arose with the battery, but with the rest of the components there was no problem. 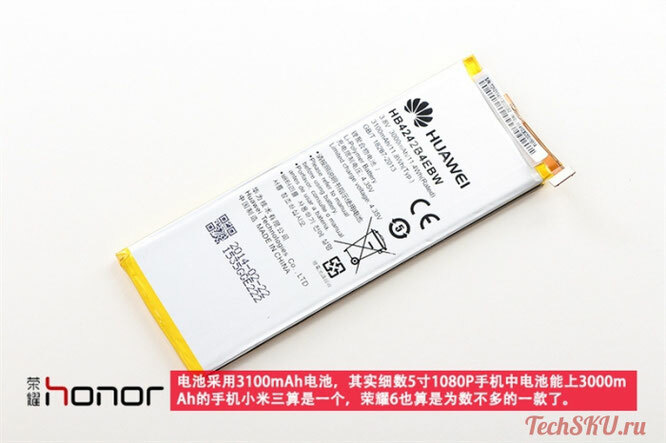 Recall that Huawei Honor 6 received 5 "Full HD-screen, 8-core HiSilicon Kirin 920 processor, 3 GB of RAM, 13-megapixel camera with dual LED flash and a battery capacity of 3100 mAh. 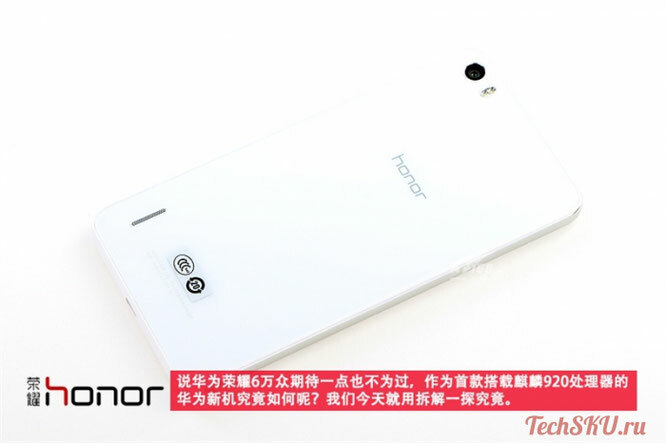 So Honor 6 looks without a cover. 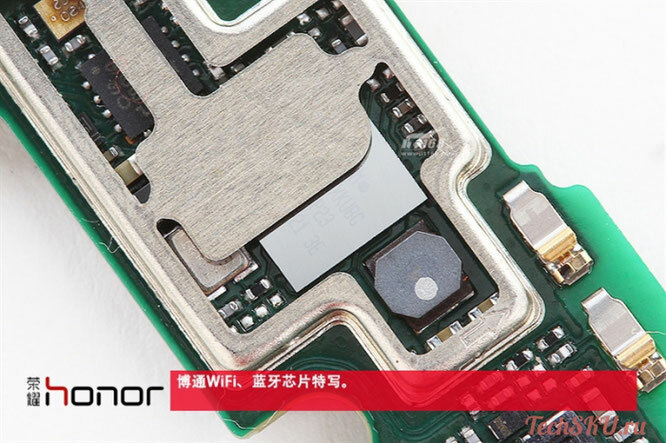 The battery, the camera module, needs to be dig deeper. 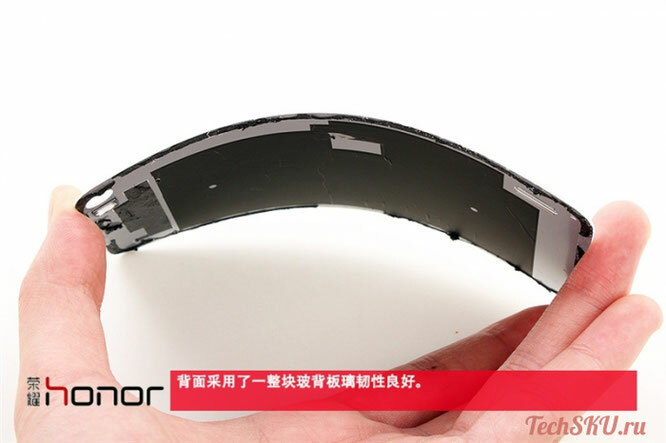 The cover is quite strong and flexible for its thickness. 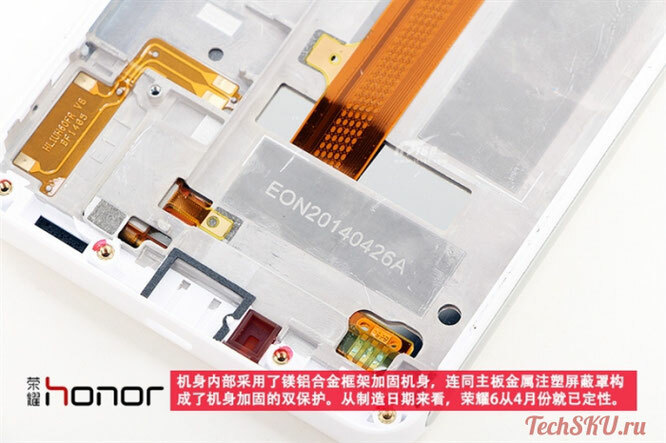 To get to the most interesting it is necessary to open the casing. 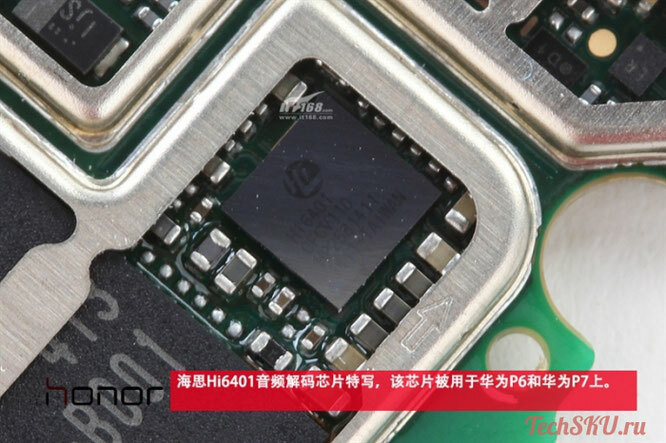 Conversational loudspeaker from above, vibromotorchik left, right output under 3.5 mm connector. 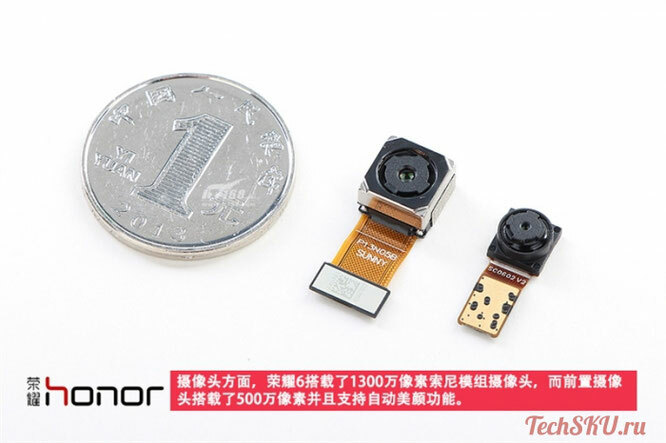 Modules of the main and front camera. 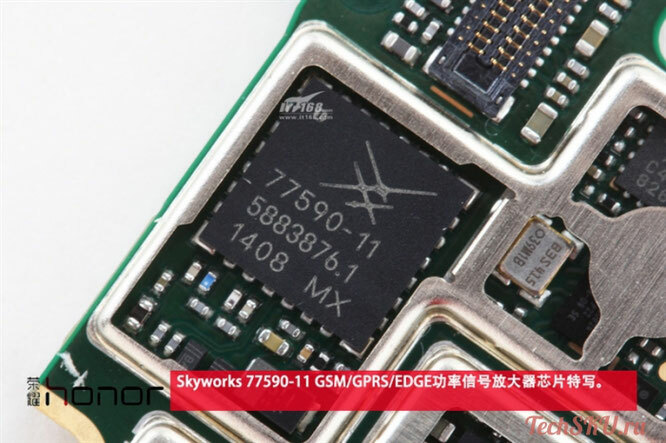 Skyworks 77590 GSM communication module. 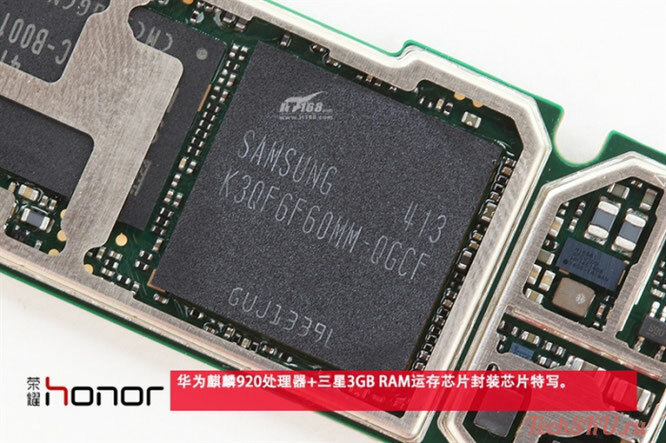 3 GB of RAM manufactured by Samsung. 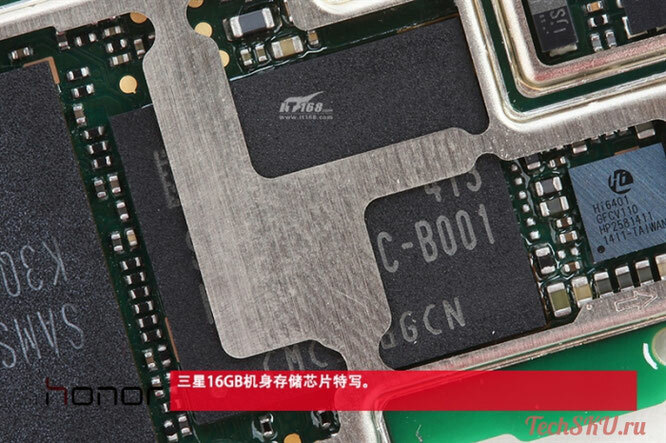 Memory module for 16 GB. 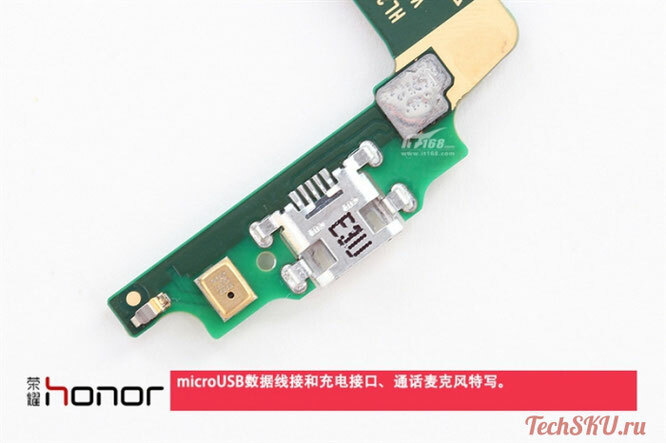 Something to do with charging via USB and a microphone. 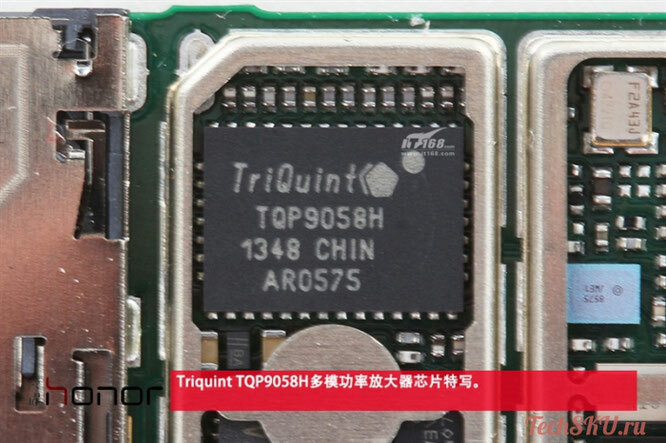 Power amplifier of the cellular signal.